Details: Bracketed cornice with medallions, dentisl above and below second story window bays; columns between windows in first and second story window bays, dentil work in porch frieze; corbel course above second story window band between bays. 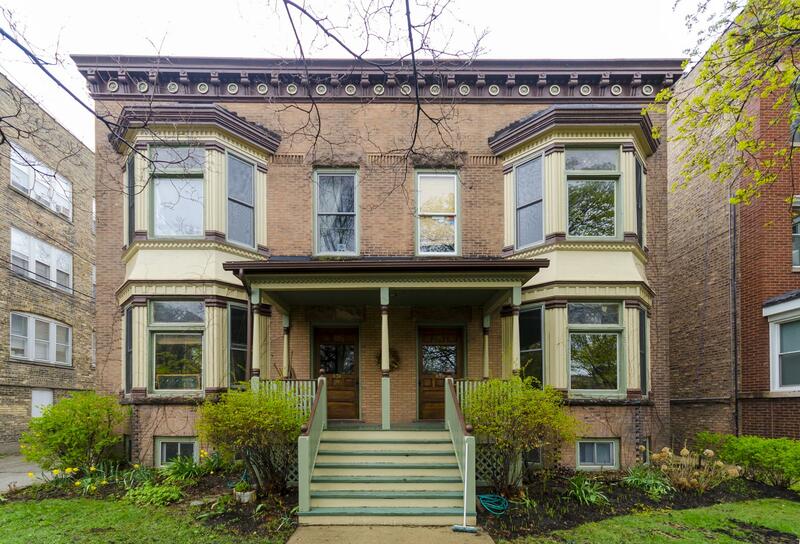 Historic Features: Double window bays with columns and ornamentation; shed porch over entryways; decorative cornice, stone lintels above second story windows between window bays. Alterations: Windows appear to have been replaced on front elevation. 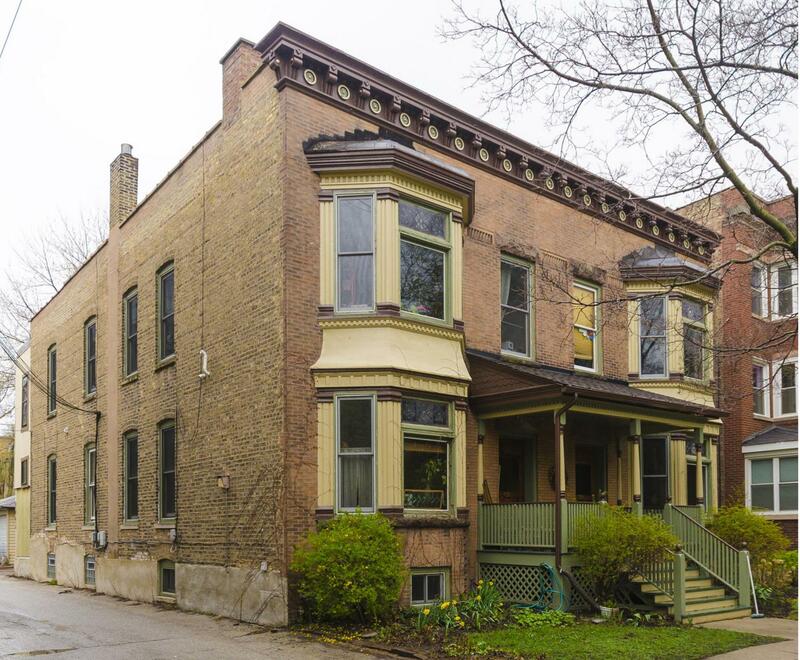 COA Info: 04HIS0000000096: Add entrance door at W end of N side, reshingle front porch rf, install new window on base of bay window on N elevation to face Elmwood, zoning variation to convert basement to dwelling unit (required lot size is 6,800 SF, proposed is 6,250 SF) Preservation Commission recommended zoning variation.